If there is anything that’s as mythically American as Uncle Sam, baseball, apple pie, or the expression “o.k.”, it’s Coca-Cola. This national ambassador expressing “everything U.S.A.” has traveled around the globe to almost 200 countries, consumed at a rate of over 1.2 billion drinks a day. 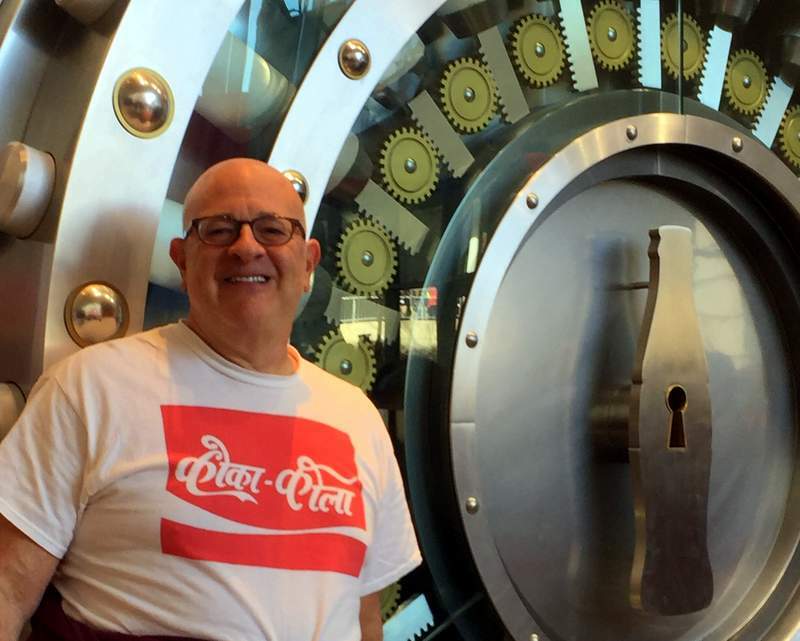 As a long time collector of Coke memorabilia, I have for many years wanted to visit “Coke Nirvana”, Atlanta’s World of Coca-Cola, and I recently did just that on a road trip with a friend to Georgia. If you’re not a particular aficionado of all things Coke when you enter, you will be when you leave. For the enthusiast, consumer, or someone interested in a fascinating part of American history, it is unbeatable. A lot of care, time, thought, and money went into the design of this attraction and credit is due, because they haven’t missed a trick. From start to finish, it’s 100% entertaining and educational. Every aspect of Coke history, advertising, marketing, merchandising, and packaging is presented for the visitor. Of course, it is also very slick propaganda, but completely irresistible. Upon entering, you are offered free cans of soda. You are then brought into a room full of memorabilia dating from 1886 up to the present day and from many different nations in many foreign languages – signs, trays, window displays, coupons, mirrors, toys, books, etc. 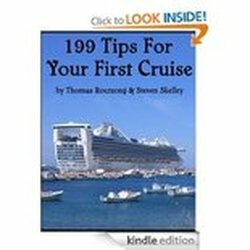 A brief presentation gives you an idea what to expect on the tour. Next, you enter the Vault where the secret formula for Coke is kept. A computer takes your photo and you wait for clearance that would do the FBI proud. Of course, you don’t get to see the formula – it’s the most valuable and closely guarded trade secret in the world – but the walls are lined with all the legends about the formula, which number in the hundreds. After this, you learn about John Pemberton, the chemist who invented Coke (and whose original pharmacy still exists in Atlanta) and Asa Candler, the founder of the Coca-Cola Company, and Atlanta’s 41st mayor. You’ll see all the different bottle designs that led up to the world-famous “hobbleskirt” bottle, designed to be recognized by a blind person or even if broken, itself protected by a patent. There is a very colorful display featuring some of the hundreds of Coke imitators which arose from the very beginning of the product’s success with such names as Afri-Cola, Coca-Nola, Cola-Nip, etc. As you move along, you learn about the marketing and advertising. One of several films shows iconic commercials and jingles from the 1940’s onward and there’s an exhibit showing several dozen of the more than 3500 different products Coke sells worldwide. A mock-up of a bottling plant brings you into the world of computerized product quality control state-of-the-art assembly technology and there is a 4D film (the highlight for me!) about a fictional “Search for the Secret Formula” that literally feels like it takes place in your lap and will leave you breathless. As you pass Coke artwork from around the world and a display of original oil paintings of the famous, iconic Coke Santa by top illustrator Haddon Sundblom, there are many wonderful family photo opportunities, including one with the Coke Polar Bear. Total fun is the Tasting Room, where you can get to try products sold in Asia, Africa, Europe and Latin America that aren’t available here, some decidedly unusual, such as Malaysia’s Fanta Melon/Cucumber soda! The latest American products are here for you to sample as well, such as brand-new Peach Coke, Fanta Sour Green Apple, and Hubert’s Lemonade. Before you exit, a fine Gift Shop allows you to bring a souvenir of your wonderful experience home, be it a mug, magnet, t-shirt, Coke cookbook, or one of the many other items. The staff at The World of Coca-Cola is helpful, enthusiastic, and seems to genuinely enjoy their work. Upon exiting, you realize that this unique product really has created for itself a whole world of legend, lore, good will, refreshment, fun, and employment for many thousands-The World of Coca-Cola. For more information visit http://www.worldofcoca-cola.com/. Facebook users may also visit http://www.facebook.com/WorldofCocaCola. Article and photos by Curtis Solash.